[Wednesday, December 2, 2009] There are a couple of smaller, entrepreneurial, companies which are making good progress toward medium launch vehicle operations. We applaud them and wish them well and have in fact provided some fiscal support. [Wednesday, December 2, 2009] NASA Ames Research Center has selected a containerized data center solution from Verari Systems(R) and Cisco Systems, Inc.(R) for the first phase of its Nebula Cloud Computing Platform. [Wednesday, December 2, 2009] Bretton Alexander, President of the Commercial Spaceflight Federation, testified this morning before the Space and Aeronautics Subcommittee of the House Science Committee on the topic of commercial spaceflight safety. [Thursday, December 3, 2009] Jeff Greason, Vice Chairman of the Commercial Spaceflight Federation and CEO of XCOR Aerospace, testified before the Aviation Subcommittee of the House Committee on Transportation and Infrastructure on Wednesday, December 2. [Thursday, December 3, 2009] Space Exploration Technologies (SpaceX) recently conducted its first Dragon spacecraft operations training for a group of NASA astronauts and personnel at its corporate headquarters in Hawthorne, CA. 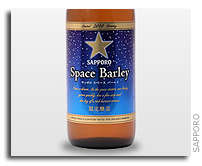 [Friday, December 4, 2009] The "space barley" used to make this beer is the 4th generation descendant of the Haruna Nijo malting barley developed by Sapporo Breweries and kept in space for five months during 2006. [Friday, December 4, 2009] Through its power purchase agreement with Solaren Corporation, PG&E is entitled to generation from a first-of-its kind space-based solar project that uses orbiting satellites equipped with solar cells to convert the sun's energy into electricity. [Sunday, December 6, 2009] NASA Ames CRuSR Office is requesting technical and programmatic input to improve the government's understanding of flight opportunities to aid potential science investigators in scoping and designing possible future suborbital investigations. [Monday, December 7, 2009] Virgin Founder, Sir Richard Branson and SpaceshipOne (SS1) designer, Burt Rutan, today reveal SS2 to the public for the first time since construction of the world's first manned commercial spaceship began in 2007. [Tuesday, December 8, 2009] NASA has undertaken a study to assess the feasibility, practicality, and cost of servicing satellites using elements of currently planned and future NASA human spaceflight systems and/or robotic technologies. [Wednesday, December 9, 2009] Two veteran aerospace communicators will lead the Coalition for Space Exploration's Public Affairs Team in 2010. Aerojet's Glenn Mahone and Jacobs Technology's Jeannie Kranz were recently named the organization's new chair and deputy chair, respectively. [Tuesday, December 15, 2009] The World Bank is a vital source of financial and technical assistance to developing countries around the world. [Tuesday, December 15, 2009] Virgin Galactic announced 18 new Virtuoso(R) travel advisors as 'Accredited Space Agents' (ASAs), including Ezana Araya of Andavo Travel, Inc with offices in Denver, Colo., San Francisco, Calif., and Salt Lake City, Utah. [Tuesday, December 15, 2009] NASA has purchased two reusable solid rocket motors from ATK Launch Systems Inc. of Brigham City, Utah, to provide a "launch on need" rescue capability for the final planned space shuttle mission, targeted for September 2010. [Tuesday, December 15, 2009] NASA's GSFC/WFF plans to issue a modification to increase the contract ceiling on the Indefinite Delivery, Indefinite Quantity (IDIQ) task order contract with the Virginia Commercial Space Flight Authority (VCSFA). [Friday, December 18, 2009] New COE for Commercial Space Transportation Public Meeting � February 9, 2010 The FAA Administrator has concurred with the request to establish a new Center of Excellence (COE) for Commercial Space Transportation (CST) in 2010. [Tuesday, December 22, 2009] The ISS has been continuously staffed since 2000 and now has a six-member crew. The primary objective for the ISS through 2010 is construction, so research utilization has not been the priority. [Tuesday, December 22, 2009] NASA has selected Space Systems/Loral, Palo Alto, Calif., to receive a contract for the propulsion system for the Lunar Atmosphere Dust Environment Explorer (LADEE) spacecraft. The contract has a maximum value of $8.86 million. [Monday, December 28, 2009] .. this report incorporates information and insights provided by representatives of 9 companies, including all of the domestic propulsion and launch vehicle companies cited in the report plus additional firms. [Thursday, December 31, 2009] The 2010 Next-Generation Suborbital Researchers Conference, which is being convened by the Southwest Research Institute, the Universities Space Research Association, the Lunar and Planetary Institute, and the Commercial Spaceflight Federation.